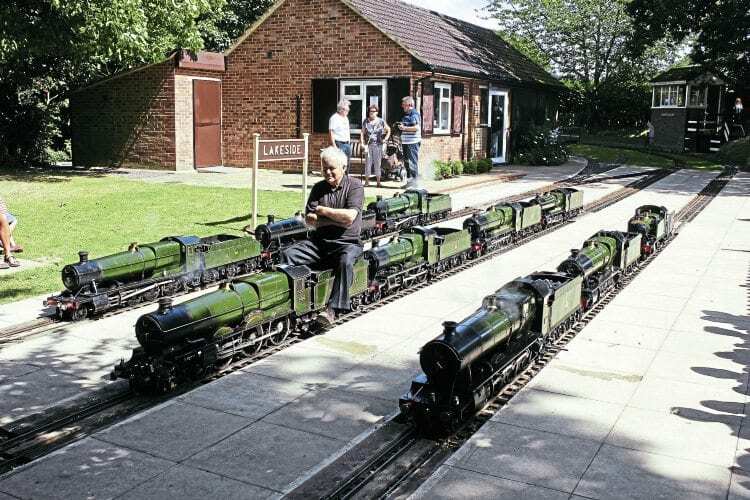 THE North Wilts Model Engineering Society (NWMES) honoured member and model builder Tony Newberry at Coate Water Miniature Railway (CWMR), Swindon on August 13-14. The Tony Newberry Locomotive Gathering brought together as many examples as possible of the 7¼in-gauge scale model GWR locos that Tony has built. This included those owned by NWMES members, invited visitors, and those still owned by him. 5in-gauge locos and traction engines.